Why Should You Prefer Ergonomic Office Chair For Excellent Back Support? Did you know that an ergonomic office chair affects how you work every day in your office? This is why you should prefer an ergonomic office chair for excellent back support. See, you spend many hours working in your office every day. Sometimes you are glued to your office chair typing or writing stuff for too long that you find it difficult to turn or lift your head. Your back, neck, and head begin to hurt badly. FreeYourSpine mentions that sitting all day at the office desk may result in the neck and joint pains, numbness, spine misalignment, and herniated discs. Having excellent back support will deal with these health issues. To achieve this, you need to have an ergonomic chair that will support your back correctly as well as keep the rest of your body comfortable. Considering that people are of different heights, choosing an ergonomic chair allows you to adjust the seat up way or downwards depending on your height. Adjusting this seat according to your preferences leaves your legs sitting flat on the office floor while retaining the knees at an angle of 90°. Not only will you be able to adjust the seat depending on your height but also on the size of your office table. Most ergonomic chairs allow adjustment of each part of the chair. This includes the back support, the seat and the armrest. This way, your back gets excellent support that helps you work for long hours. Your profession determines the kind of armrests you should choose for your arms. A typist will need a different armrests position from a doctor. Deciding the right position for your arms can be tricky, and the solution would be testing each position. Bear in mind that having a poor armrest chair will definitely result to back and neck pains. That is why your armrests should not be too high or too low. Again, it should not be too wide. This is the reason as to why you should prefer the ergonomic office chair because it allows you to adjust the right position for your arms. It also offers support to your arms while you work. Ergonomic office chair, due its adjustment capability, gives your back natural support by taking the shape of your lower and upper back. The seat pan has a waterfall front that makes it possible for you to fit well so that your legs rest on the floor as your lumbar relaxes on the back pad. Other parts of the body like the arms, legs, and neck are not less privileged. The chairs offer support for them too making your entire body very comfortable. This way, you can type or do any work on your table for a longer time without affecting your health negatively. Your lower back has a natural curve. The chair you sit on should, therefore, have a curving design to avoid straightening up the lumber. To retain the natural curvature on your back you should prefer using an ergonomic office chair. With an ergonomic office chair, you get the chance to lower or raise the support pad of the back according to the shape of your body. Having good back support makes your shoulders as well as the neck to rest comfortably. 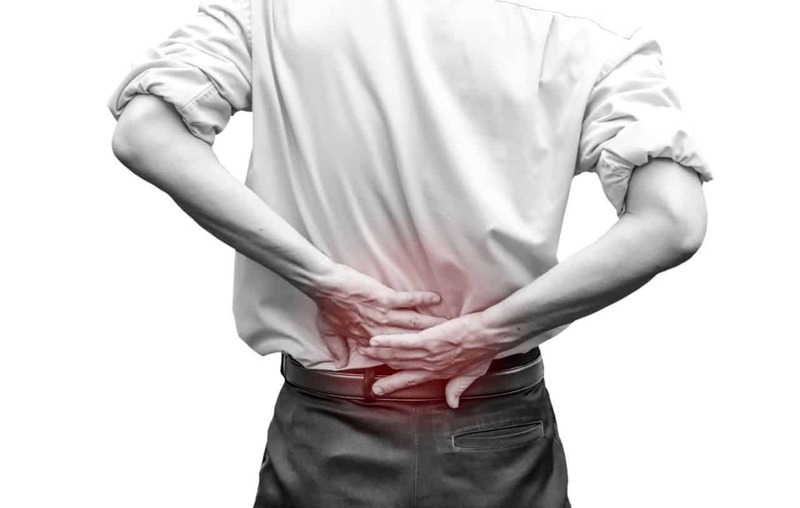 As a result, you can deal with any back, neck, and shoulder pains that you could be having as you prevent the same problems from re-occurring. The number of hours you spend in your office making money can turn into a disaster due to back, neck and shoulder pains. Skipping a day in the office can cause even more trouble especially if you have staffs working under you or you have a strict boss. You don’t deserve such trouble. Choose to replace your office chair if it is not comfortable, adjustable, doesn’t support your back, and arms. This way, you will avoid frequent health complains as well as treat any back issues you get any time you sit on your office chair.